We are headed to Delaware for 4 Days and 3 Nights at Dover Downs Casino Resort! 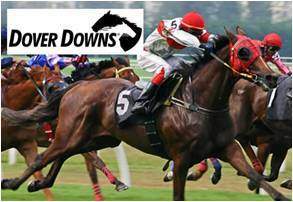 Dover Downs is Delaware’s leading luxury casino hotel and offers the area’s largest variety of entertainment including live harness racing, live streaming thoroughbred racing, fabulous dining options, a luxurious spa and 24 hour live table gaming, just to name a few! Dover Downs is a 100% smoke free facility so you can enjoy your time in the casino and hotel without the cloud of smoke! Home to more than 2,300 slot machines, 41 gaming tables and an 18 table poker room… and let’s not forget the live action sport betting and their very own one-of-a kind racetrack.